LookChina, Inc. launched a new registered trade mark pad called SMP® Standard Moving Pad on July 9, 2011. The new registered trade mark pad is designed to improve pad protection standard/consistence and guide proper pads applications, aim to reduce insurance claims and improve movers' bottom line. 1) Premium Pad, size 72"x80", 84lb/dz, woven cloth. Zigzag quilting, blue trim. 2) Economy Pad, size 72"x80", 84lb/dz, non-woven cloth. Zigzag quilting, red trim. 3) Warehouse Pad, size 72"x80", 65lb/dz, non-woven cloth. Checker quilting, black trim. 4) Space Saver Pad, size 54"x72", 25 lbs/dz, non-woven cloth, yellow trim. Premium Pad, is the toughest pad designed for maximum durability and protection at all cost. Best purchased and used for companies where the pad can be retrieved and repeatly used and reused. The pad lasts long period time, and overall pad cost will be low. Premium Pad is made of recycled textile filler, durable woven cloth with navy colored edges, pads are packaged 12 pc/bale. Economy Pad offers maximum protection at affordable cost. Best purchased and used for companies where the Economy Pad can not be retrieved. Due to its low cost, it adds movers' bidding competitiveness to any moving project when pad expenses include. Economy Pad has been well received on the marketplace thanks to its low cost and practical functionality. Economy Pad is made of made of recycled textile filler, non-woven cloth with red colored edges, pads are packaged 12 pc/bale. Warehouse Pad provides thicker-than-most competitors quality and protection with a distinct checker quilting pattern. Small movers use it not only for storage but also for moving. Starting cost is low and does the job well. Warehouse Pad is made of made of recycled textile filler, non-woven cloth with black colored edges, pads are packaged 24 pc/bale. Space saver pad, provides best flexibility when wrap around and protect small and fragile items. Non-woven light weight and smooth fabric leaves no mark on any furniture. This pad is made of made of recycled textile filler, non-woven cloth with black colored edges, pads are packaged 48 pc/bale. Our pad not only offers consistent pad quality, professional looks but also help movers to easy identify, organize and cost-effectively utilize different pads in a working environment, palletized pad also reduces workers' injury and speed up loading/unloading & distribution. Our pad saves movers money and time. SMP® Standard Moving Pad are promoted via below professional organizations. Innovation isn’t easy, it’s just essential. In pursuit of knitting innovation, we have developed a feature- enhanced 4-way stretchable knitted spacer fabric that has a promising utilization in home textiles, automobile, apparel and medical industries. Apparel industry has been using stretchable fabrics for years and apparel marketing campaigns have done a good job advertising the temperature control and moisture management factors as benefits to consumers. As a result, buzz words such as thermo, insulated, breathable, absorbent, wicking, Quick Dry, Double Dry, Wind/waterproof, and Cool, are common. Most consumers have experienced pleasing benefits when wearing apparel made from fabrics with a compression factor, such as stockings, socks, long johns, bras, briefs, gloves, headbands, turtle-neck sweaters, but this factor has not been as highly publicized as temperature control and moisture management. Because the compression factor found in stretchable fabrics allows the garment to contour to the shape of the human body while offering aerodynamic and freedom of movement advantages, it is being used in sportswear apparel and has become known as “Compression Wear”. 5) Enhancement in blood flow. Although there are many applications that 2-way stretchable or elastic wraps have been used, its construction does not provide even compression distribution, its monotone or narrow range of compression with poor elastic memory limits its use in medical garments for patients. Until recently, most compression wear apparel has been made from 2-way stretchable or a thin 4-way stretchable knitted fabric with or without lamination of the center element. However, newer fabrics which provide a 4-way stretch, even compression, air permeability, and thermal insulation with cushioning effects are emerging as “Healing Wear”. Healing wear is a compression medical garment with a specific purpose: to encourage the healing and recovery process after a reconstructive or aesthetic medical procedure, and to help the skin conform to its new contours. Current uses include maternity and postpartum support products for pregnant women and garments for cesarean incision healing, stretched abdominal muscles, abdominal separation, spinal realignment, back pain, posture improvement, organ repositioning, ligament stabilization, breast tenderness and liposuction for both men and women. In additional to the fabric quality requirements listed above, healing wear garment production requires customization to ensure accurate compression is applied to the uniqueness of the personal physiques or a special surgical area. Our new feature-enhanced 4-way stretchable knitted spacer fabric has special properties and versatility. We believe our spacer fabric will positively impact usability of spacer fabric in home textiles, automobile interiors, apparel and medical applications. 4-way stretchable knitted spacer fabric will offer consumers a great deal of opportunities by altering yarn selection and spacer gauge, it results modifying fabric weight, thickness, aesthetics, physical properties and cost of the fabric to meet market specific needs. North Carolina, USA, August 3, 2009 - The need to reduce outside noise is a challenge for anyone seeking peace and quiet, from professional to home applications. Be it a parent’s need to secure quiet for their sleeping child, or an audio technician’s desire for the best recording location possible, either can be a daunting task. "Audio and motion picture professionals have sought effective avenues to control sound from the earliest days of these professions, " according to Dr. Johnson Wu, a principal at LookChina (www.LookChina.com), a North Carolina based provider of renewable textile manufacturing. The problem? "Producing new textiles to integrate into the creation of sound proofing materials that are effective and ones that do not negatively impact the environment ... ", summarizes Dr. Wu. So, in a classic win, win scenario, LookChina is reclaiming natural fibers and textiles and integrating them into the creation of sound proofing sound blankets. Called EZ Hang Acoustic Soundproof Blankets, these sound proofing tools are easily hung by convenient loops sewn into the durable fabric that encases the inner materials. These inner materials are comprised of sanitized and recycled all natural textiles processed into the manufacturing of these soundproofing blankets. "It’s not just professionals who appreciate the significant reduction of interfering sound, but we’ve also found that every day people use our sound blankets to block out interior or exterior noise at home, " Dr. Wu explains. The concept seems simple enough; sound is less apt to bounce off of soft surfaces as compared to hard. Additionally, these soft surfaced sound blankets stop the flow of sound, similar to temperature insulation, so you can imagine hanging one in front of a window to keep outside noise from getting in. The sound proofing blankets are 72 by 80 inches in size and weigh 7 pounds. They are black in color, and are machine washable. The product is just beginning to enter North American markets and LookChina, founded in 1998, seeks to expand their distribution of this product both online at www.LookChina.com and through a developing distributorship network. Buy EZ Hang Acoustic Soundproof Blankets right now! and offer environment-friendly textiles and reduce carbon footprints/greenhouse gases. 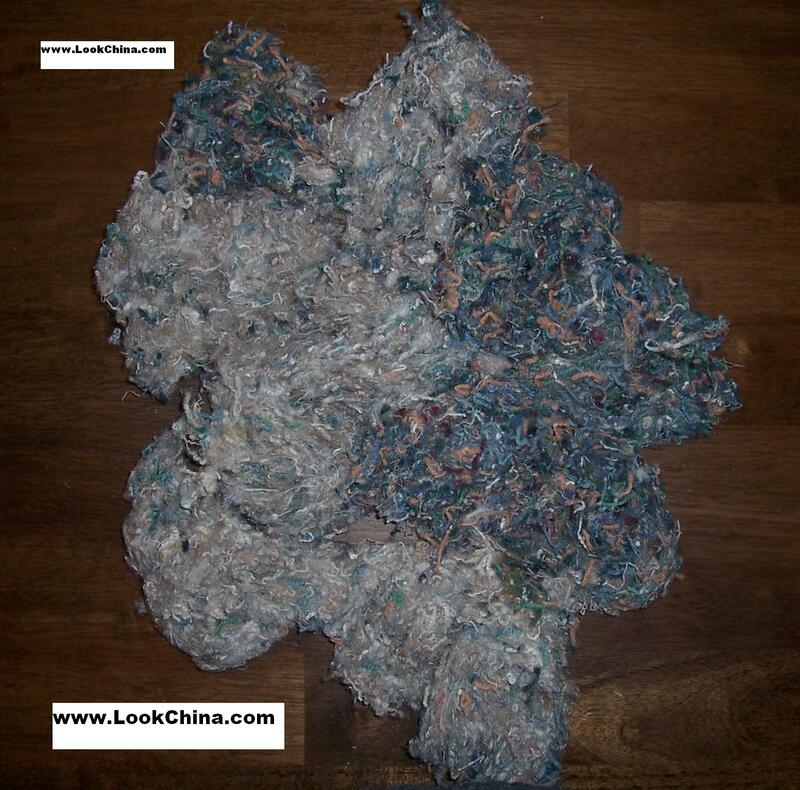 We sell textile waste materials worldwide. We update this page regularly. 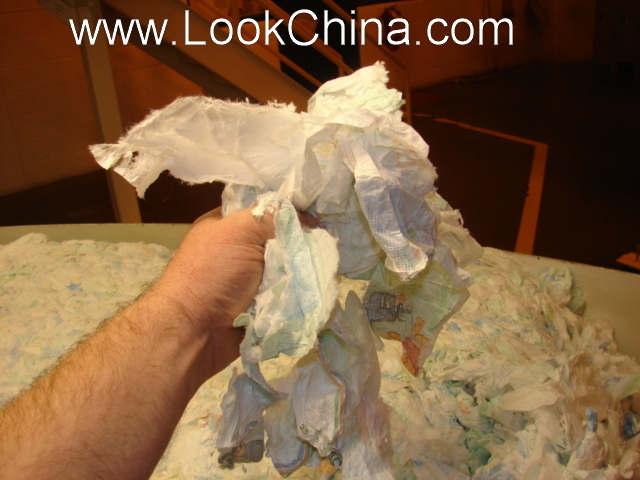 100% PP trimmed non-woven, one 40ft load x2, 10-12 GSM non-woven, majority white and blue, no cellulose or additives or coatings in the material. Trimmed fabric in bale approx. 6x18 inches size pieces, same fabric on rolls, average width on the rolls is 10-12 inches and the roll diameter is 30-32 inches. 11) Color thread waste, waste is the colored thread cut off dye cones. Thread waste is mixed color, mixed fiber content and mixed yarn counts. It is pure & clean thread waste, no plastic, nor paper nor metals, nor trash. 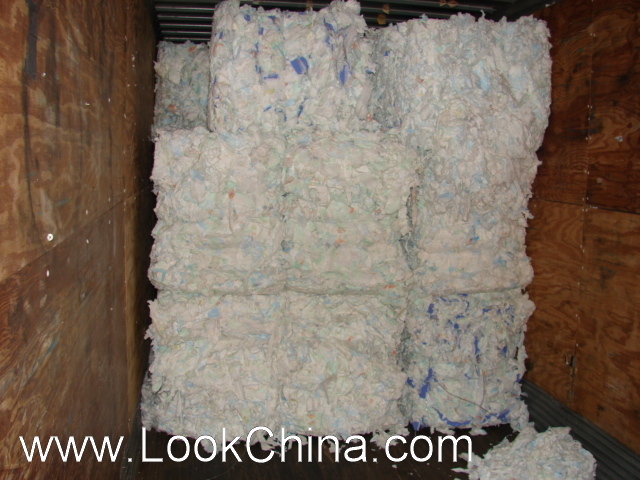 Excellent material for shoddy or toy, bedding, furniture, home textile stuffing. How many years wholesale experience you or your company have? 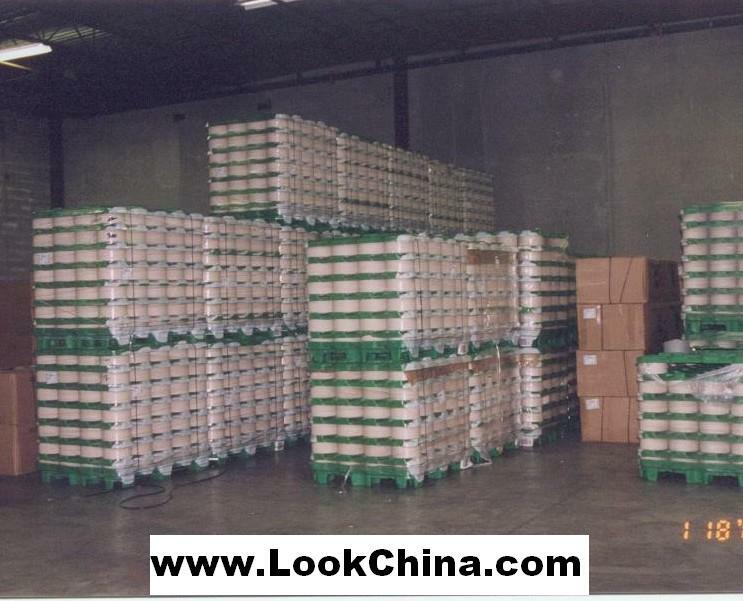 Send mail to Webmaster@LookChina.com with questions or comments about this web site. Copyright © Since 1997. LookChina Inc.